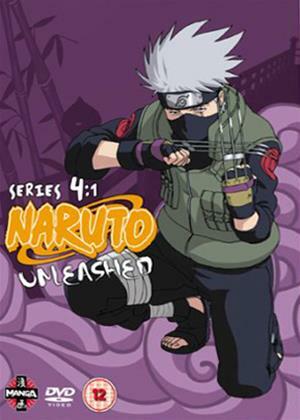 Episodes 79-88 of the popular anime series adapted from the best-selling manga created by Masashi Kishimoto. Naruto and Jiraiya locate fifth Hokage candidate Tsunade, but not before Orochimaru beats them to it with a nefarious proposition for the medical specialist to cure his arms in exchange for resurrecting her deceased brother and former lover. Episodes comprise: 'Beyond the Limit of Darkness and Light', 'The Third Hokage, Forever', 'Return of the Morning Mist', 'Eye to Eye: Sharingan vs. Sharingan! ', 'Jiraiya: Naruto's Potential Disaster! ', 'Roar, Chidori: Brother vs. Brother', 'Hate Among the Uchihas: The Last of the Clan', 'A New Training Begins: I Will Be Strong', 'Keep on Training: Pop Goes the Water Balloon' and 'Focal Point: The Mark of the Leaf'.